You've got enough for both, right? I want half the watermelon and just as much attention! Lou looks so calm. He has clarified his concerns, made his wishes known, and now calmly towers over the scene. I'm afraid I was thinking that Janelle might have enough for two, but it would only be for the first bunny's two front teeth. If this ever gets worked out satisfactorily, I am still afraid someone is getting her pay docked for arriving late at the Tar Pits. That is just not enough. Poor Janelle. As an aside, I do hope the car keys are not accessible to these two - could be a many-day news story about mayhem across the country. Thanks for making my day with bunny teeth! RG, the money is eventually re-aggregated and moved to offshore accounts controlled by notorious bunny crime families. It has long been considered a massive money laundering operation, but to make the enterprise look legit and to keep the illegal funds flowing, individual bunnies are responsible for seeing that their hoomins are clocking in sufficient hours. I understand completely, Jen. 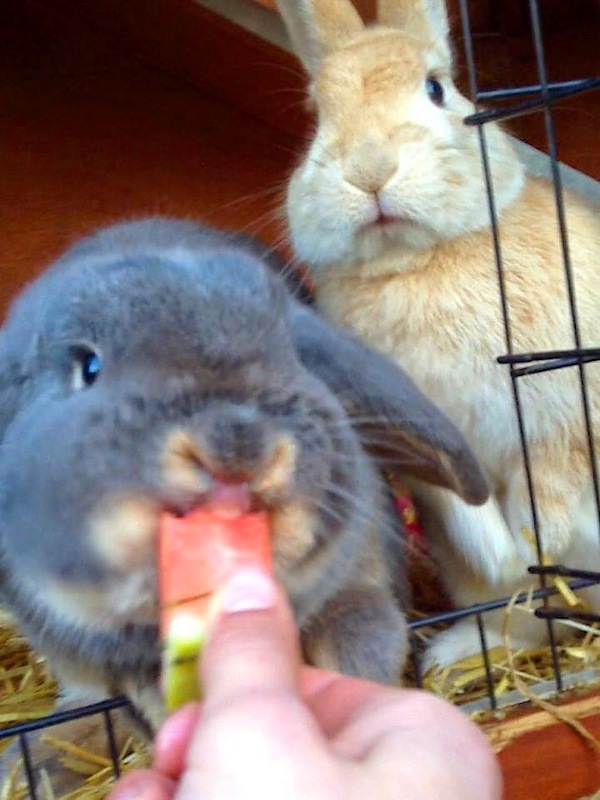 We get to know the truth about bunnies, but only for seconds on end.